It is evident. 1st. That as God is an infinite, eternal, and immutable intelligence he must have formed, from the beginning, an all comprehensive and unchangeable Plan of all his works in time, including Creation, Providence, and Redemption. 2nd. A Plan formed by and intended to be executed in its several reciprocal distributed parts by Three Persons, as Sender, and Sent, as Principal and Mediator, as Executor and Applier, must necessarily possess all the essential attributes of an eternal Covenant between those Persons. 3rd. 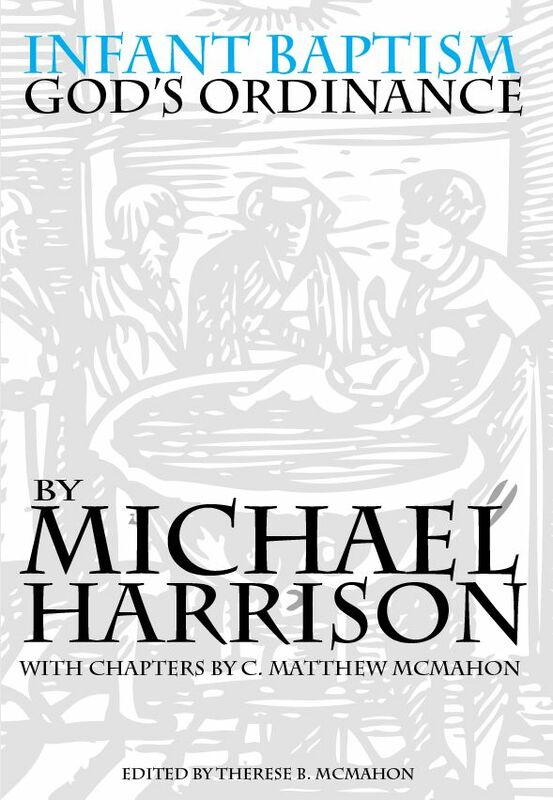 Since God in all departments of his moral government treats man as an intelligent, voluntary, and responsible moral agent, it follows that the execution of the eternal Plan of Redemption must be in its general character ethical and not magical, must proceed by the revelation of truth, and the influences of motives, and must be voluntarily appropriated by the subject as an offered grace, and obeyed as an enjoined duty upon pain of reprobation. Hence its application must possess all the essential attributes of a Covenant in time between God and his people. 1. What is the usage of the word tydiB] in the Hebrew Scriptures? This word occurs more than two hundred and eighty times in the Old Testament, and is in our translation in the vast majority of instances represented by the English word “Covenant,” in a number of instances by the word “League,” Joshua 9:15, etc., and once each by the words “Confederate,” Genesis 14:13, and “Confederacy,” Obadiah 7. It is used to express. 1st. A natural ordinance. “God?s covenant with the day, the night,” etc. ?Jeremiah 33:20. 2nd. A covenant of one man with another. Jonathan and David. ?1 Samuel 18:3 and ch. 20:David and Abner. 2 Samuel 3:13. 3rd. The covenant of God with Noah, Genesis 6:18,19, as to his family; and with the human race in him, Genesis 9:9. The bow was “a token of a covenant.” Genesis 9:13. 4th. The “Covenant of Grace” with Abraham, Genesis 17:2?7, which Paul calls the “gospel,” Galatians 3:17. Circumcision was the “token of this covenant.” Genesis 17:11; cf. Acts 7:8. 5th. The same covenant as formed generally with Abraham, Isaac, and Jacob. Exodus 2:24, etc. 6th. The same covenant, with special and temporary modifications of form, constituting the National Ecclesiastical Covenant of God with the people of Israel. The law of this Covenant on its legal side was written by Moses first in a book (“the book of the covenant,” Exodus 24:7), and then upon tables of stone (” the words of the covenant, the ten commandments,” Exodus 34:27,28), which were afterwards deposited in a golden chest, “the ark of the covenant.”?Numbers 10:33. 7th. The covenant with Aaron of an everlasting priesthood. Numbers 25:12,13. 8th. The covenant with David. Jeremiah 33:21,22; Psalm 89:3,4. 2. What is the New Testament usage of the term diaqh>kh? This word occurs thirty?three times in the New Testament, and is almost uniformly translated covenant when it refers to the dealings of God with his ancient church, and testament when it refers to his dealings with his church under the gospel dispensation. Its fundamental sense is that of disposition, arrangement; in the classics generally that specific form of arrangement or disposition called a testament, which sense, however, it properly bears in but one passage in the New Testament, viz., Hebrews 9:16,17. Although it is never used to designate that eternal Covenant of Grace which the father made with the Son as the second Adam, in behalf of his people, yet it always designates either the old or the new dispensation, i.e., mode of administration of that changeless covenant, or some special covenant which Christ has formed with his people in the way of administering the Covenant of Grace, e.g., the covenants with Abraham and with David. Thus the disposition made by God with the ancient church through Moses, the Old contrasted in the New Testament with the New diaqh>kh (Galatians 4:24), was really a covenant, both civil and religious, formed between Jehovah and the Israelites, yet alike in its legal element, “which was added because of transgressions, till the seed should come to whom the promise was made,” and in its symbolic and typical element teaching of Christ, it was in a higher view a dispensation, or mode of administration of the Covenant of Grace. So also the present gospel dispensation introduced by Christ assumes the form of a covenant between him and his people, including many gracious promises, suspended on conditions, yet it is evidently in its highest aspect that mode of administering the changeless Covenant of Grace, which is called the “new and better dispensation, in contrast with the comparatively imperfect old and first dispensation” of that same covenant. See 2 Corinthians 3:14; Hebrews 17:6,8,9,10; 9:15; Galatians 4:24. The present dispensation of the Covenant of Grace by our Savior, in one respect, evidently bears a near analogy to a will or testamentary disposition, since it dispenses blessings which could be fully enjoyed only after, and by means of his death. Consequently Paul uses the word diaqh>kh in one single passage, to designate the present dispensation of the Covenant of Grace in this interesting aspect of it. ?Hebrews 9:16,17. Yet since the various dispensations of that eternal covenant are always elsewhere in Scripture represented under the form of special administrative covenants, and not under the form of testaments, it is to be regretted that our translators have so frequently rendered this term diaqh>kh, by the specific word testament, instead of the word covenant, or by the more general word dispensation. See 1 Corinthians 3:6,14; Galatians 3:15; Hebrews 7:22; 12:24; 13:20. 4. Prove from the Scriptures that a “Covenant of Grace “was actually formed in eternity between the Divine Persons, in which the “Son” represented this elect. 1st. As shown at the opening of this chapter such a Covenant is virtually implied in the existence of an eternal plan of salvation mutually formed by and to be executed by three Persons. 2nd. That Christ represented his elect in that Covenant is necessarily implied in the doctrine of sovereign personal election to grace and salvation. Christ says of his sheep, “Thine they were, and thou gavest them me,” and “Those whom thou gavest me I have kept,” etc. John 17:6,12. 3rd. The Scriptures declare the existence of the promise and conditions of such a Covenant, and present them in connection. Isaiah 53:10,11. 4th. The Scriptures expressly affirm the existence of such a Covenant. Isaiah 13:6; Psalm 89:3. 5th. Christ makes constant reference to a previous commission he had received of his Father. John 10:18; Luke 22:29. 6th. Christ claims a reward which had been conditioned upon the fulfillment of that commission. John 17:4. 7th. Christ constantly asserts that his people and his expected glory are given to him as a reward by his Father. John 17:6,9,24; Philippians 2:6,11. 5. Who were the parties to this Covenant of Grace; what were its promises or conditions on the part of the Father; and what its conditions on the part of the Son? 1st. The contracting parties were the Father representing the entire Godhead in its indivisible sovereignty; and, on the other hand, God the Son, as Mediator, representing all his elect people, and as administrator of the Covenant, standing their surety for their performance of all those duties which were involved on their part. 2nd. The conditions upon the part of the Father were, (1) all needful preparation, Hebrews 10:5; Isaiah 13:1?7; (2) support in his work, Luke 22:43; (3) a glorious reward, first in the exaltation of his theanthropic person “above every name that is named,” Philippians 2:6?11, and the universal dominion committed to him as Mediator, John 5:22; Psalm 110:1; and in committing to his hand the administration of all the provisions of the Covenant of Grace in behalf of all his people, Matthew 28:18; John 1:12; 17:2; 7:39; Acts 2:33; and, secondly, in the salvation of all those for whom he acted, including the provisions of regeneration, justification, sanctification, perseverance, and glory?Titus 1:2; Jeremiah 31:33; 32:40; Isaiah 35:10; 53:10,11; Dicks, “Theo. Lect.,” Vol. 1., pp. 506?509. 3rd. The conditions upon the part of the Son were? (1) That he should become incarnate, made of a woman, made under the law. ?Galatians 4:4,5. (2) That he should assume and fully discharge, in behalf of his elect, all violated conditions and incurred liabilities of the covenant of works, Matthew 5:17,18, which he was to accomplish, first, by rendering to the precept of the law a perfect obedience, Psalm 40:8; Isaiah 13:21; John 9:4,5; 8:29; Matthew 19:17; and, secondly, in suffering the full penalty incurred by the sins of his people. ?Isaiah 53:; 2 Corinthians 5:21; Galatians 3:13; Ephesians 5:2. 6. In what sense is Christ said to be the mediator of the Covenant of Grace? Christ is the mediator of the eternal Covenant of Grace because 1st. As the one mediator between God and man, he contracted it. 2nd. As mediator, he fulfills all its conditions in behalf of his people. 3rd. As mediator he administers it and dispenses all its blessings. 4th. In all this, Christ was not a mere mediatorial internuntius, as Moses is called (Galatians 3:19), but he was mediator (1) plenipotentiary (Matthew 28:18), and (2) as high priest actually effecting reconciliation by sacrifice (Romans 3:25). 5th. The phrase mesi>thv diaqh>khv mediator of the covenant, is applied to Christ three times in the New Testament (Hebrews 8:6; 9:15; 12:24); but as in each case the term for covenant is qualified by either the adjective “new” or “better,” it evidently here is used to designate not the Covenant of Grace properly, but that new dispensation of that eternal covenant which Christ introduced in person in contrast to the less perfect administration of it which was instrumentally introduced by Moses. In the general administration of the Covenant of Grace, Christ has acted as sacerdotal mediator from the foundation of the world (Revelation 13:8). On the other hand, the first or “old dispensation,” or special mode of administering that Covenant visibly among men, was instrumentally, and as to visible form, “ordained by angels in the hand of a mediator,”i.e., Moses (Galatians 3:19). It is precisely in contradistinction to this relation which Moses sustained to the outward revelation of those symbolical and typical institutions, through which the Covenant of Grace was then administered. That the superior excellence of the “new “and “better” dispensation is declared to consist in this, that now Christ the “Son in his own house” visibly discloses himself as the true mediator in the spiritual and personal administration of his covenant. Hence he who from the beginning was the “one mediator between God and man” (1 Timothy 2:5) now is revealed as in way of eminence, the mediator and surety of that eternal Covenant under the “new” and “better ” dispensation of it, since now he is rendered visible in the fullness of his spiritual graces, as the immediate administrator thereof; whereas under the “first” and “old” dispensation he was hidden. ?See Sampson?s Commentary on Hebrews. 6th. As Mediator also Christ undertakes to give His people faith and repentance and every grace, and guarantees for them that they shall on their part exercise faith and repentance and every duty. 7. In what sense is Christ said to be Surety of the covenant of Grace? In the only instance in which the term surety is applied to Christ in the New Testament (Hebrews 7:22), “surety of a better testament,” the word translated testament evidently is designed to designate the new dispensation of the Covenant of Grace, as contrasted with the old. Paul is contracting the priesthood of Christ with the Levitical. He is priest or surety after a higher order, under a clearer revelation, and a more real and direct administration of grace, than were the typical priests descended from Aaron. Christ is our surety at once as priest and as king. As priest because, as, such, he assumes and discharges all our obligations under the broken covenant of works. As king (the two in him are inseparable, he is always a royal priest), because, as such, he administers the blessings of his covenant to his people, and to this end entering into covenants with them, offering them grace upon the condition of faith and obedience, and then, as their surety, giving them the graces of faith and obedience, that they may fulfill their part. 8. What general method has characterized Christ’s administration of his covenant under all dispensations? The purchased benefits of the covenant are placed in Christ?s hand, to be bestowed upon his people as free and sovereign gifts. From Christ to us they are all gifts, but from us to Christ many of them are duties. Thus, in the administration of the Covenant of Grace, many of these purchased blessings, which are to take effect in our acts, e.g., faith, etc., he demands of us as duties, and promises other benefits as a reward conditioned on our obedience. Thus, so to speak, he rewards grace with grace, and conditions grace, upon grace. Promising faith to his elect, then working faith in them, then rewarding them for its exercise with peace of conscience, joy in the Holy Ghost, and eternal life, etc., etc. 9. 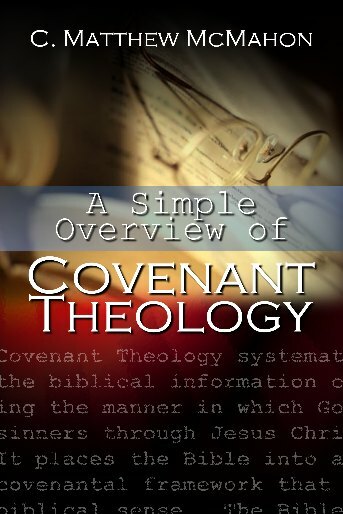 What is the Arminian view of the Covenant of Grace? They hold, 1st., as to the parties of the Covenant of Grace, that God offers it to all men, and that he actually contracts it with all believers. 2nd. As to its promises, that they include all the temporal and eternal benefits of Christ?s redemption. 3rd. As to its conditions, that God now graciously accepts faith and evangelical obedience for righteousness, in the place of that perfect legal obedience he demanded of man under the Covenant of works, the meritorious work of Christ making it consistent with the principles of divine justice for him so to do. They regard all men as rendered by sufficient grace capable of fulfilling such conditions, if they will. 10. In what sense can faith be called a condition of salvation? Faith is a condition sine qua non of salvation, i.e., no adult man can be saved if he does not believe, and every man that does believe shall be saved. It is, however, a gift of God and the first part or stage of salvation. Viewed on God?s side it is the beginning and index of his saving work in us. Viewed on our side it is our duty, and must be our own act. It is, therefore, as our act, the instrument of our union with Christ, and thus the necessary antecedent, though never the meritorious cause, of the gracious salvation which follows. Faith as the condition is of course living faith, which necessarily brings forth “confession” and obedience. 11. What are the promises which Christ, as the administrator of the covenant of grace, makes to all those who believe? The promise to Abraham to be a “God to him and to his seed after him” (Genesis 17:7) embraces all others. All things alike, physical and moral, in providence and grace, for time and eternity, are to work together for our good. “All are yours, and ye are Christ?s, and Christ is God?s.”?1 Corinthians 3:22,23. This gospel covenant is often called the “Covenant of Grace” as distinguished from the “Covenant of Redemption.” See above, Q. 3, ? 2. “He that believeth and is baptized shall be saved, but he that believeth not shall be damned.” Mark 16:16. 12. Prove that Christ was mediator of men before as well as after his advent in the flesh. 1st. As mediator he is both priest and sacrifice, and as such it is affirmed that he is the “Lamb slain from the foundation of the world,” and a “propitiation for the sins that are past.” Revelation 3:8; Romans 3:25; Hebrews 9:15. 2nd. He was promised to Adam.Genesis 3:15. 3rd. In the 3rd chapter of Galatians Paul proves that the promise made to Abraham (Genesis 17:7; 22:18) is the very same gospel that the apostle himself preached. Thus Abraham became the father of those that believe. 4th. Acts 10:43.”To him give all the prophets witness, that through his name, whosoever believeth on him shall receive remission of sin.” See 53rd chap. of Isaiah ., also chap. 42:6. 5th. The ceremonial institutions of Moses were symbolical and typical of Christ’s work; as symbols they signified Christ’s merit and grace to the ancient worshipper for his present salvation, while as types they prophesied the substance which was to come. Hebrews 10:1-10; Colossians 2:17. 6th. Christ was the Jehovah of the old dispensation. ?See above, Chap. 9., Question 14. 13. Prove that faith was the condition of salvation before the advent of Christ, in the same sense that it is now. 1st. This is affirmed in the Old Testament. Habakkuk 2:4; Psalm 2:12. 2nd. The New Testament writers illustrate their doctrine of justification by faith by the examples of Old Testament believers. See Romans 4., and Hebrews 11. 14. Show that Christ, as administrator of the Covenant of Grace, gave to the members of the Old Testament Church precisely the same promises that he does to us. 1st. The promises given to Christ’s ancient people clearly embrace all spiritual and eternal blessings, e.g., the promise given to Abraham, Genesis 17:7, as expounded by Christ, Matthew 22:32, and the promise given to Abraham, Genesis 22:18; 12:3, as expounded by Paul, Galatians 3:16; see also Isaiah 43:25; Ezekiel 36:27; Daniel 12:2,3. 2nd. This is plain also from the expectation and prayers of God’s people. Psalm 51 and Psalm 16; Job 19:24-27; Psalm 73:24-26. 15. How was the covenant of grace administered from Adam to Abraham? 1st. By promise. Genesis 3:15. 2nd. By means of typical sacrifices instituted in the family of Adam. 3rd. By means of immediate revelations and appearances of the Jehovah, or divine mediator to his people. 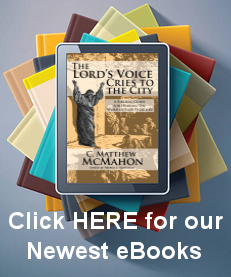 Thus “the Lord” is represented throughout the first eleven chapters of Genesis as “speaking” to men. That these promises and sacrifices were then understood in their true spiritual intent is proved by Paul. Hebrews 11:4-7. And that this administration of the covenant of grace reached many of the people of the earth, during this era, is proved by the history of Job in Arabia, of Abraham in Mesopotamia, and of Melchisedec in Canaan. 16. How was it administered from Abraham to Moses? 1st. The promise given during the preceding period (Genesis 3:15), is now renewed in the form of a more definite covenant, revealing the coming Savior as in the line of Abraham?s posterity through Isaac, and the interest of the whole world in his salvation is more fully set forth.Genesis 17:7; 22:18. This was the gospel preached beforehand.Galatians 3:8. 2nd. Sacrifices were continued as before. 3rd. The church, or company of believers, which existed from the beginning in its individual members, was now formed into a general body as an a gathering of families, by the institution of circumcision, as a visible symbol of the benefits of the covenant of grace, and as a badge of church membership. 17. What was the true nature of the covenant made by God with the Israelites through Moses? It may be regarded in three aspects? 1st. As a national and political covenant, whereby, in a political sense, they became his people, under his theocratic government, and in this peculiar sense he became their God. The church and the state were identical. In one aspect the whole system had reference to this relation. 2nd. It was in one aspect a legal covenant, because the moral law, obedience to which was the condition of the covenant of works, was prominently set forth, and conformity to this law was made the condition of God’s favor, and of all national blessings. Even the ceremonial system in its merely literal, and apart from its symbolical aspect, was also a rule of works for cursed was he that confirmeth not all the words of this law to do them. Deuteronomy 27:26. 3rd. But, in the symbolical and typical significance of all the Mosaic institutions, they were a clearer and fuller revelation of the provisions of the Covenant of Grace than had ever before been made. This Paul abundantly proves throughout the Epistle to the Hebrews. Hodge on Romans. 18. What are the characteristic differences between the dispensation of the Covenant of Grace under the law of Moses and after the advent of Christ? These differences. of course, relate only to the mode of administration, and not to the matter of the truth revealed, nor of the grace administered. 1st. The truth was then signified by symbols, which, at the same time, were types of the real atonement for sin afterwards to be made. Now the truth is revealed in the plain gospel history. 2nd. That revelation was less full as well as less clear. 3rd. It was so encumbered with ceremonies as to be comparatively a carnal dispensation. The present dispensation is spiritual. 4th. It was confined to one people. The present dispensation, disembarrassed from all national organizations, embraces the whole earth. 5th. The former method of administration was evidently preparatory to the present, which is final. This is an excerpt from Chapter 22 of A.A. Hodge’s Outlines of Theology.